About a hundred years ago we went to a nice little village pub in Ashwell or Abington Piggots or some such, Hertfordshire, after a walk across the fields from Steeple Morden. When you went into the pub there were comfortable, battered leather armchairs and copies of the day’s newspapers, together with an imaginative and tasty menu – club sandwiches, soups, nice bread – you know the sort of thing. Now Yorkshire at the time had pubs with sawdust or linoleum, pickled eggs, the new strange cheese and onion crisps and, if you were lucky, fancy steak and chips [with peas and a slightly warm half tomato]. In addition the beer was almost always John Smith’s Bitter – a beer which, in answer to the question “A pint?” would bring forth the answer “I’d rather be shot than poisoned…” You often had a “pint touch” which was a pint of beer with a small splash of lemonade to take the rough, harsh, bitter taste away [that’s not a shandy, by the way – that’s half and half]. We must have been mad. The “soft southern” pubs all had good, light, refreshing, golden, hoppy [that’s enough…ed] beer that you actually wanted to drink, rather than consume as a right of passage and damn the consequences. Well, we’re pleased to report that it’s not like that now. 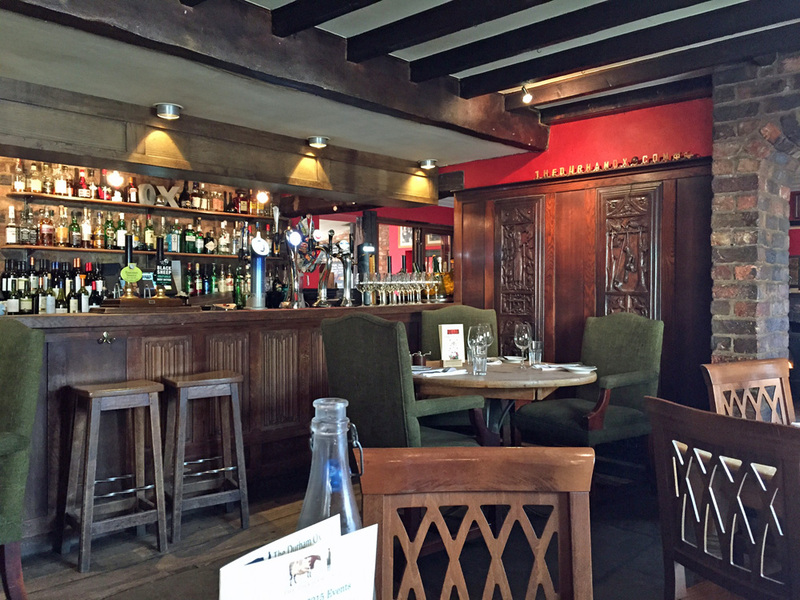 Comfortable – luxurious even – pubs with excellent beers, wines by the glass and carefully crafted food. 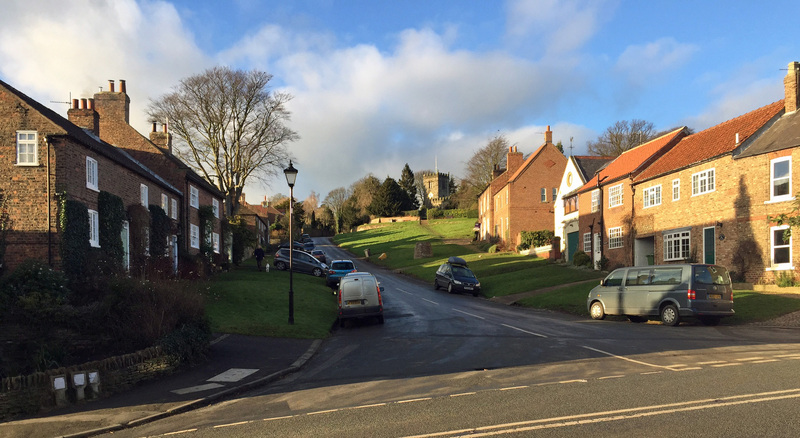 Today was the Durham Ox, in Crayke, a few miles north of York. Our second visit. This pub is part of Provenance Inns, a new group whose business model is to acquire poorly performing or closed village pubs, refurbish, add a few bedrooms, and put in excellent management and staff, together with good food…and hey presto, you have somewhere people actually want to go…on a Tuesday lunchtime just after Christmas, when most other places are closed. They have a few now, including a new hotel in Harrogate and have just won the Guide Pub Guide Pub Group of the Year. Magnificent. They know just what to do [OK, a hundred years late] and have quite a “few bob” behind them, as we say in Yorkshire. 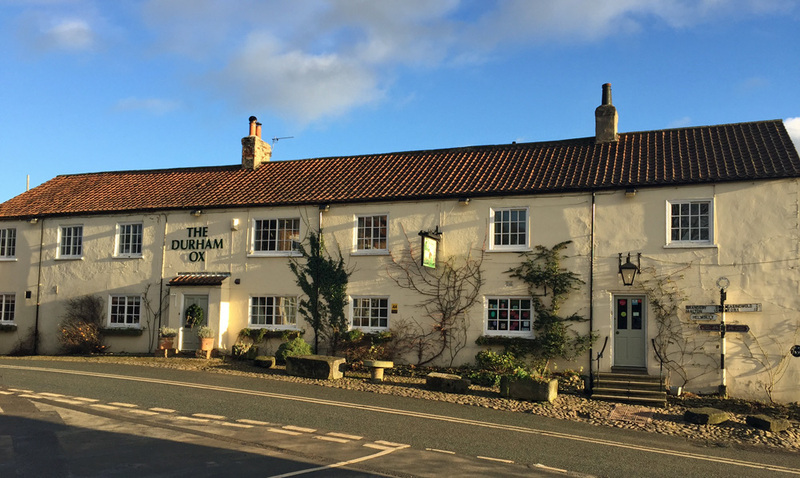 The Durham Ox had Black Sheep and Yorkshire Sparkler on draught, together with about a dozen wines by the glass, available in the essential post-Christmas 125ml glass size. Go on, spoil yourselves. And no John Smith’s anywhere thank goodness. Apply for your visa to visit Yorkshire now. 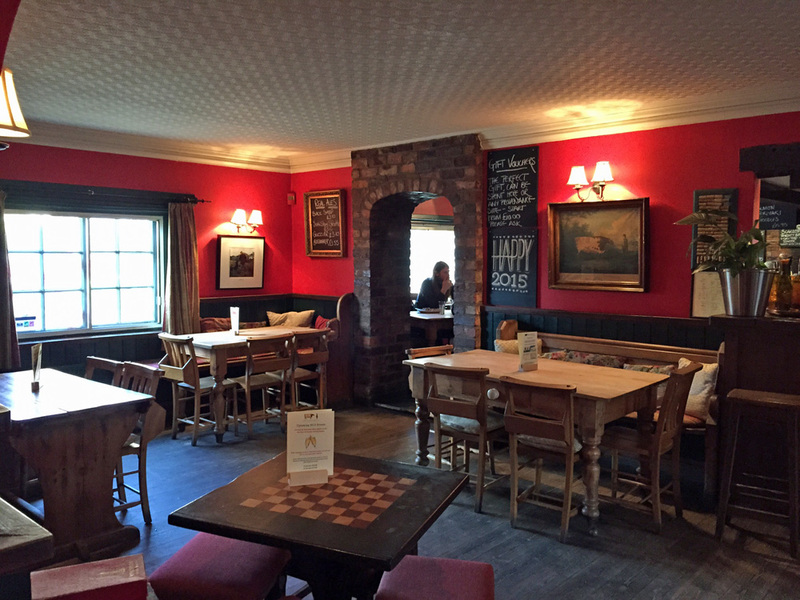 A recent Provenance pub is the Black Bull at Moulton, a bit of an institution up here; credited with being the place that introduced the avocado to the north in 1963. You can read a ten-year old Guardian review, when it had a railway carriage to dine in [not a good idea, by the way]. Conversely, it should have introduced mushy peas to the south, which would have stopped the MP for Hartlepool, Peter Mandleson, reportedly praising the “guacamole” he was served with his fish’n’chips on the seafront a few years ago… Anyway, more of the Back Bull after another visit.